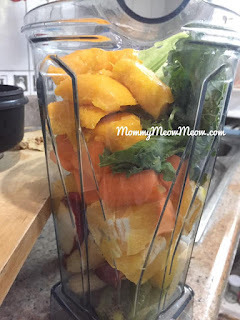 Smoothie: A fruity and green afternoon snack ~ Mommy Meowmeow! About two days ago, Daddy A was 'making kulit' for us to do the groceries to get some fruits and greens. Normally he doesn't really like to do groceries because of his busy work schedule, much more going to big ones like Landers Superstore in Otis, Paco, Manila. So we went after dinner, just in time for the last hour before the store closes. It was a Tuesday night and I was so glad we went because the fresh produce section was fully stocked! I rarely see bright fruits and greens on weekends (so I didn't really have high expectations on weekdays) but this night was just wow! Literally was fully stocked with fresh produce. Because greens, fruits and veggies don't exactly come cheap I'd really like to get our money's worth to get them real fresh. Since these mostly would go into our smoothies / salads, it really tastes so much better! AND Landers Otis has a promotion - discounts on fresh produce for all the weekdays of January! Pre-grocery tip: Clean out your fridge! As in de-clutter, wipe / wash as needed so that you'll know what's still in there (no doubling up on groceries) and it's easier to organize your stock once you return from your grocery shopping. 1. Mango - I slice em up, collect the "meat" (hoho, what is it really called?) into a freezer bag or tupperware and freeze it. I make sure to use it up in a month's time. 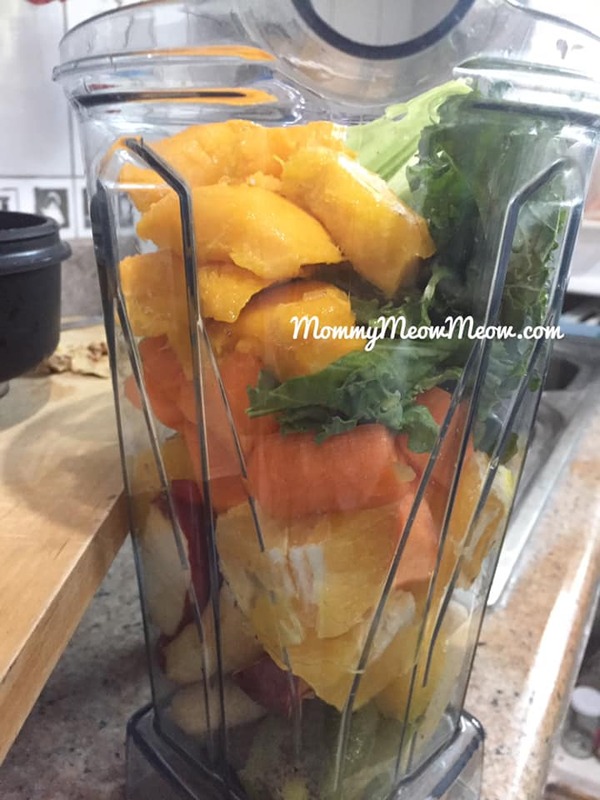 This saves me time in prepping for smoothies and also saves over-ripe mangoes from going bad before the need to use it for our smoothies. 2. Celery - Remove leaves and root end parts. Wash celery stalks to remove debris and dry well with tea towel (or bimpo or clean lampin/birdseye cloth). Cut to desired size, I do about 5 inches long. Keep in foil or reusable food wrap (I tried reusable beeswax wraps too). Try this out please...you'll be glad you did! The celery lasts a little bit longer using this method! You'll keep it fresher and again, minimize wastage. Plus, anytime you need a snack you can just get from your stash and munch away..or dip in hummus or peanut butter! Nom, nom, nom!!! I computed what I used up for this batch and the cost is around PHP 200.00 which was enjoyed by 2 kids and 5 adults. Not bad considering that in other shops, a 16 oz smoothie would go somewhere between PHP100-250.00 for a single serving. 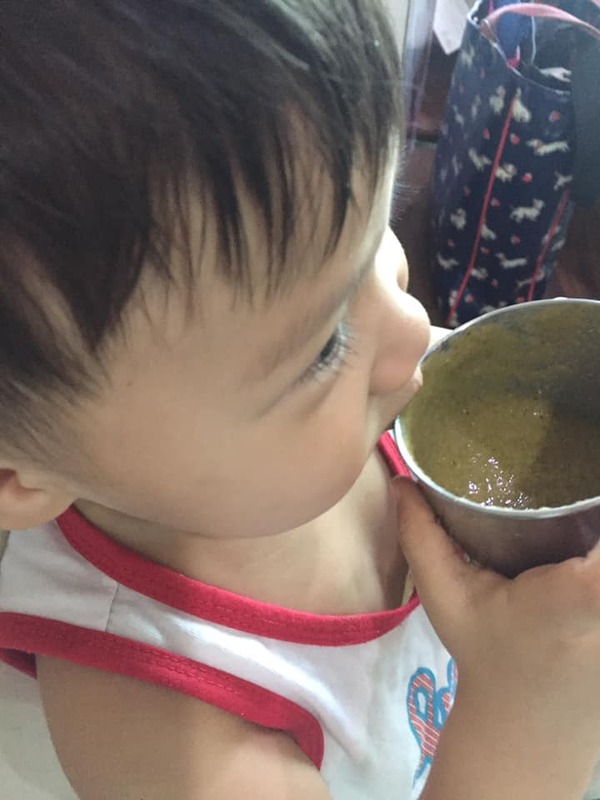 Bananas, Apple, Orange, Carrot, thumb-sized Ginger, Frozen Mango, Celery stalks, Kale, Camote tops, Camu powder (a superfood), Chia seeds, some water and ice! 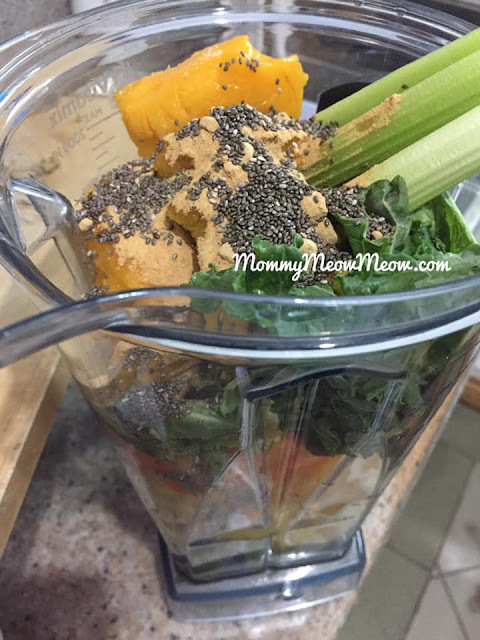 Blended with the Vitamix 5200 :) Yumm!! !